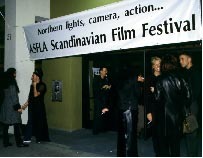 In 2000 the ASFLA Scandinavian Film Festival marks Los Angeles' first-ever Scandinavian film festival. Held at The Writer's Guild in Beverly Hills, it screens the Scandinavian films submitted for the Academy Awards' Best Foreign Film nomination, along with short subjects and documentaries. It's a premier opportunity to network with people who love film, Scandinavian filmmakers, and individuals connected with Scandinavia who work in Hollywood. The festival opens on Friday, February 11, 2000, and continues throughout the day and evening on Saturday, February 12. The following films have been submitted to the Academy of Motion Picture Arts and Sciences for consideration for nomination in the "Best Foreign Film" category. On Friday, February 11, you're invited to attend the opening-gala screening of Mifune, winner of the Silver Bear at the 1999 Berlin Film Festival, directed by Danish filmmaker Soren Kragh-Jacobsen. 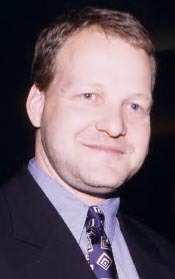 Special guest at the screening will be two-time Academy Award-winning Danish film producer Kim Magnusson. The screening begins at 8 p.m., preceded by a no-host bar at 6:30 p.m. and Scandinavian buffet at 7 p.m. You're also invited to a post-screening champagne dessert in the theater lobby where you'll have a chance to meet Magnusson and other filmmakers. Cost for the buffet, screening and champagne dessert is $35. Cost for the screening and champagne dessert-only is $10. Students with valid ID are invited to attend the screening-only at no charge. Please call (323) 661-4273 in advance to reserve your tickets. Mail your payment to: ASFLA Scandinavian Film Festival, P.O. Box 292329, Los Angeles, CA 90029. Or email the reservation information to the ASFLA box office. If paying by credit card, please provide your name as it appears on the card, address, telephone number, credit-card type, number and expiration date. Include number of tickets, gala package(s) you intend to attend and a check or charge authorization for the total cost. Between screenings on Saturday, February 12, you're invited to network and nosh at the Nordic Caf�, in the theater lobby, where you'll enjoy refreshments and the good company of others who share a love for Scandinavian film and Hollywood. Admission to each screening, excluding the opening night gala, is $8 for adults. A full pass to all events, including all screenings AND the opening-gala buffet and champagne dessert, is $50. See "Opening Gala" (above) for details and admission cost. Students with valid ID and children are invited to attend free of charge. Visa and Mastercard are accepted. Admission to short-subject and documentary screenings are free with the purchase of a feature-film ticket. The Writer's Guild Theater is located at 135 S. Doheny Drive at Wilshire Boulevard in Beverly Hills (the southwest corner of Wilshire and Doheny). Parking is available in the Writer's Guild lot and in the lot across the street. The ASFLA Scandinavian Film Festival is underwritten by the American Scandinavian Foundation of Los Angeles in conjunction with the consulates of Denmark, Finland, Iceland, Norway and Sweden, with the generous support of national film organizations, individual and corporate donors. Mifune (Mifunes Sidste Sang); 2/11, 8 p.m. Honor of the House (Ungfruin Goda og Husid), 2/12, 12 p.m. Under the Sun (Under Solen), 2/12, 2:30 p.m. The Prompter (Sufflosen), 2/12, 5 p.m. The Tough Ones (Hayjt), 2/12, 7 p.m.
For more information, contact ASFLA at (323) 661-4273, or the festival chairman at (805) 985-2700. Click on the PayPal button below and automatically send a donation now!